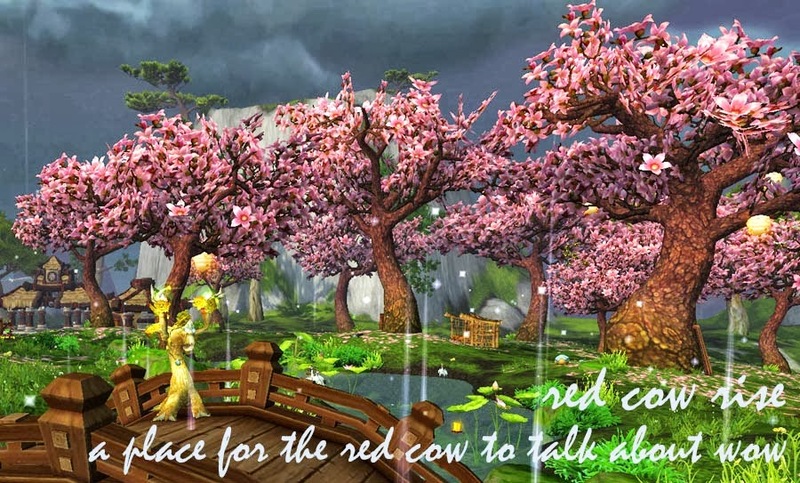 red cow rise: #FFW Furtive Father Winter 2013! (Father) Winter is coming! It's time to cozy up near the fireplace (or get your sunbathing on, as the case may be) and await the yearly coming of Greatfather Winter. The time has come for the 5th annual Blog Azeroth Furtive Father Winter blogger gift exchange! Bloggers are encouraged to sign up, create a post for their randomly-assigned gift recipient, and publish the gift they receive from their furtive Father Winter! You don't need to be a BA member (although I highly recommend it), but you do need a place to publish gifts. 1. Between now and December 15th, email me using my comment form or reply to this post. I need your name, email address, and blog URL. Last year there was an amazing turnout. My only word of caution is, if you aren't sure you'll have time to create a present, please think hard before signing up! We don't want anyone going away without a post. Feel free to grab this year's graphic and advertise for this on your blog or twitter. The more the merrier! This year's participants! The Furtive Father Winters will be revealed as the gifts are received and posted. Escapist Scrawl from The Daily Frostwolf! Sugar & Blood from Escapist Scrawl! Lib Feathers Fanfiction from Admiring Azeroth! Frost and Claws from Sugar and Blood! The Daily Frostwolf from The Crimson Hammer! Admiring Azeroth from red cow rise! The Harpy's Nest from Frost and Claws! Plenty of Paladins from Sheep the Diamond! Kamalia et Alia from The Harpy's Nest! Sheep the Diamond from Plenty of Paladins! The Crimson Hammer from Lib Feathers Fanfiction! red cow rise from Kamalia et Alia! I'd love to participate again! I've been thinking long and hard, as I will be at relatives' houses throughout the entire December 16 - December 31 time period, but I think I will probably have enough "downtime" that I'll be able to put together an FFW gift for someone. Okay this looks like loads of fun. I'll be out of town the 16-20th but should be able to have plenty of time after to make a gift for somebody when I get back.